Sleep deprivation may take a toll on your heart health. According to a latest study, men who slept less than six hours a night were at an increased risk of cardiovascular disease compared to those who sleep between seven and eight hours. The study, published in the Journal of the American College of Cardiology, examined 3,974 bank employees among which all were without known heart disease and two-thirds were men. The findings revealed that poor quality of sleep anywhere less than six hours could be linked with risk of atherosclerosis (hardening of arteries due to fatty deposits on arterial walls). 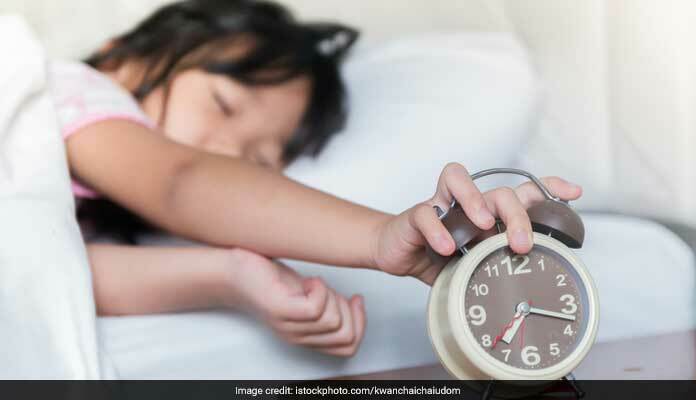 People who slept less than six hours were 27 percent more likely to develop the cardiac condition, as compared those who had seven to eight hours of sleep. Previous studies have also shown that lack of sleep may raise the risk of cardiovascular disease by increasing heart disease risk factors such as glucose levels, blood pressure, inflammation and obesity. 1. Milk: Milk is enriched with tryptophan, an amino acid that helps produce serotonin. Serotonin has soothing effects in the brain, which helps you have a sound sleep. According to ‘The Complete book of Ayurvedic Home Remedies,’ adding a pinch of nutmeg, a pinch of cardamom and some crushed almonds could do wonders to combat sleep deprivation. 3. Bananas: Not only are bananas a good source of tryptophan, it also contains some good carbs that may promote some sound sleep. A good source of magnesium, bananas also help keep you heart muscles relaxed. 4. Almonds: Almonds are also a good source of tryptophan, which has soothing effect on brain. It is also a good source of magnesium that is essential to keep your heart steady and relaxed. Including these foods in your diet may do wonders for your sleep deprivation. However, before making any major alteration to your diet, it is always advised you seek an expert opinion.